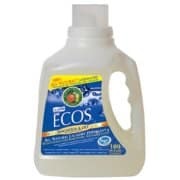 Click here to visit the Earth Friendly Products facebook and like them. Then on the “Free Samples” tab, click request a free 4 oz sample. On the next page you should be able to fill out the form to request your free samples. I got through, they say they are all out!! Would love to try your product!!!! I love trying new things. My Sister and I usually make our own laundry soap though. It will be great to see how it compares to ours! Your sample has been reserved.